Mark Hoge has raised show pigs for as long as he can remember. Growing up in Walnut, Illinois on his family’s farm he showed steers, barrows, and lambs. 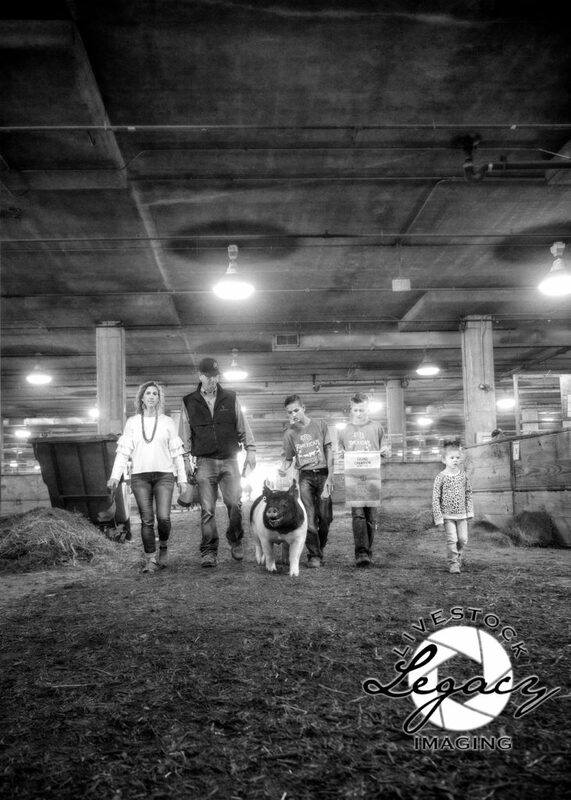 Raising and breeding pigs continued to be a passion of Mark’s as he and his wife, Katie and kids, Carter and Nolan moved to Good Hope, Illinois. Once they settled in Good Hope, Mark and Katie made the commitment to put up a barn holding about 10 sows. They quickly out grew that, because now the Hoge Family runs roughly 30 sows out of a new building, because of a barn fire last November. Most of these sows are the boys’ show gilts from the previous years that were champions at Pork Expo, CPS and Louisville. Along with their show gilts Carter and Nolan also show 3 to 5 heifers and 4 to 6 lambs a year. Mark’s goal for Hoge Livestock is to raise three children, Carter, Nolan and daughter, Nora, that understand the value of work ethic, drive, competition, and the willingness to succeed. Like all livestock families, Mark believes this is the greatest way to raise your kids. 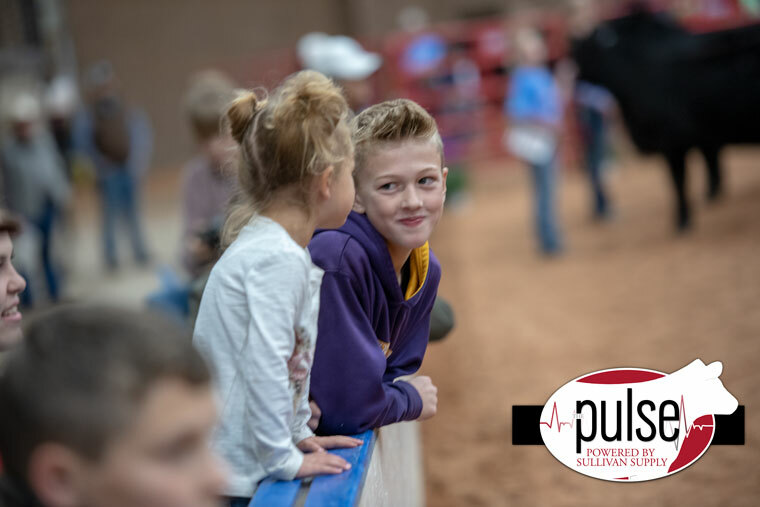 Mark wants his children to see and participate in all aspects from conception to the show ring in order to truly understands what it takes to make one that wins in the end. Carter would like to follow in his father’s footsteps by continuing to raise pigs, but also start raising cattle. Carter also gets to play a big part in picking out his livestock to show When selecting their show pigs, Carter likes his hogs to be stout, while still being able to move with an elegance about them, he is a sucker for the good-looking ones that just roll. “What’s interesting about Carter is that he is very quick to figure out that first night out on the grass, whichever pig is built the best, to have their head and spine right, is the one he will migrate towards immediately” says Mark. Carter’s role in Hoge Livestock is to get his stock ready for a show. He walks his hogs twice a day and was twice a day. With three species it can get time consuming. He and his brother Nolan work together to wash legs on lambs and walk them on the treadmill and wash their heifers and hogs. Carter loves working with his hogs and washing cattle in the barn while getting to hang out with the family. As far as the future of this great industry, Mark would like to continue to see the Agriculture Industry be advocated and promoted to the world. He believes without a doubt that it is the best way to raise a family. “We’ve been very fortunate to surround our kids with people we by sheep and cattle from, and work with pigs, and the breeders and managers that we have associated with; our kids are very, very blessed to have those opportunities to interact with them” he states. For the future of this industry, he believes we need to continue to advocate and promote to the consumer and we as agriculturist are good, hard working people and we do things right. If we can keep this in perspective for many years to come it will still be the greatest way to raise a family. The Hoge Family works side by side every single day, they win together and lose together, and they would not be as successful as they have been without each other. Carter’s favorite part of getting to do this with his family is when his sister, Nora helps in the barn. Nora is already ready to show; she takes Carter and Nolan’s whips to walk their hogs, helps the boys blow out their heifers, and just is always there waiting for the next thing to do. Carter loves to be able to teach Nora the ends and outs of working on their livestock and that he gets to experience all of this with her by his side helping. With the many hours of windshield time on the road going to and from shows, Mark loves that time to sit and talk with his boys. They have had some great conversations covering anywhere from trailers to the debriefing a show discussing what they did well and to see what they can do different to maximize the likelihood of success at the next one. “As a dad, I’ve enjoyed the conversation in the vehicles that we have to and from events and activities” stated Mark. The Hoge Family is a very close-knit family and with a passion for the livestock industry and a work ethic and drive to succeed that is second to none. They not be as successful has they are without the help and support of each other and those surrounding them. We are happy the the Hoge Family trusts in Sullivan Supply’s line of products on all of their species. Carter loves to use the Sullivan’s Carbon Fiber Whip and the EX-85 Showman’s brush in the show ring. 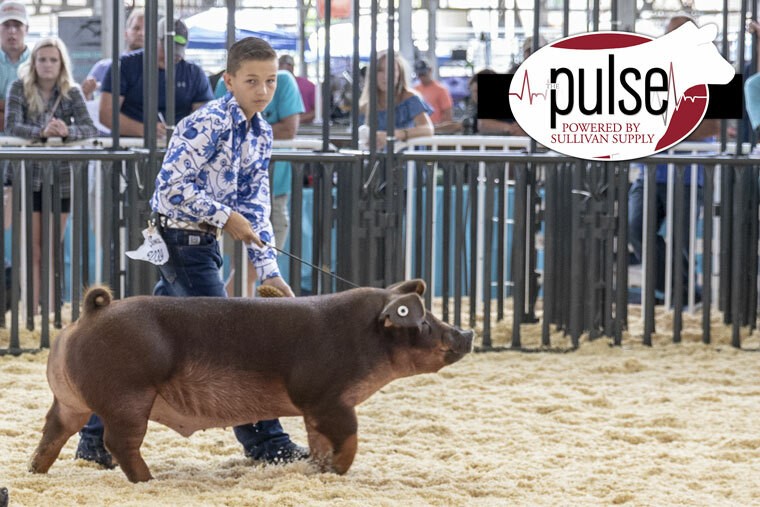 From a daily care stand point he loves to use Sullivan’s Rejuvenate and many of the conditioners on his champions as well as the feeders, waterers, and pen dividers.